Approximately 170 species of birds have been seen on the Islands; however the following list does not include visiting birds only rarely seen. A large number of species are endemic, including the wide variety of finches that so captivated Charles Darwin. The iconic red and blue footed boobies can also be seen on the islands - the Galapagos is truly a bird watching paradise. 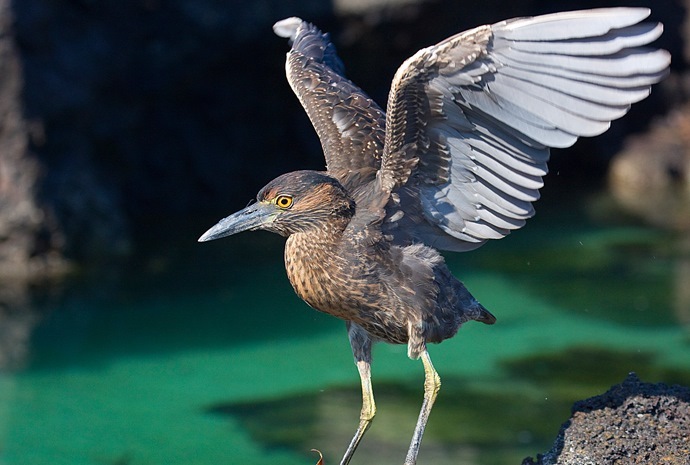 Click below to download a PDF checklist of birds on the islands. Birds marked 'E' are endemic and 'I' introduced species.